Discovery of the best human therapeutic antibodies starts with AlivaMab Mouse. Ablexis’ AlivaMab Mouse is the only transgenic animal designed to enable and optimize the efficient discovery and development of the next generation of human therapeutic antibodies. The past four decades have seen advances in therapeutic monoclonal antibody discovery technologies from fully mouse to fully human antibodies. Today, fully human antibodies are typically generated using two distinct approaches: (1) in vitro systems and (2) genetically-engineered animals. However, while humanization and in vitro techniques such as phage, ribosomal, yeast and mammalian display technologies appear simplistically attractive, there is a growing appreciation that downstream risks in development - problems that may not become apparent until after hundreds of millions of dollars have been spent - are amplified by in vitro technologies. Such risks include inadequate potency, CMC issues, off-target binding, and anti-drug antibody formation. In contrast to in vitro display and humanization technologies, transgenic mice can reduce the risk of expensive problems and failures in later stages of development through harnessing of the natural in vivo immune response to generate high-affinity, high-potency antibodies that inherently possess desirable qualities of developability, specificity, and reduced risk of immunogenicity. This combination of attributes helps explain why there are substantially more marketed fully human antibody drugs that were discovered using transgenic mice than from in vitro display platforms. Innovative technologies were used to create the specialized transgene designs for the AlivaMab Mouse platform, improving upon the limited bacterial artificial chromosome (BAC) and yeast artificial chromosome (YAC) genomic library approaches of other technologies. AlivaMab Mouse is the first transgenic animal to use synthetic immunoglobulin (Ig) transgenes, and the only one to use autonomously functioning synthetic Ig transgenes, avoiding the need to hijack the constant regions and cis regulatory elements of the endogenous Ig loci. By first designing the Ig transgenes of AlivaMab Mouse in silico and then synthesizing the DNAs in vitro, multiple aspects were optimized to help meet the challenges of both antibody drug discovery and antibody drug development. 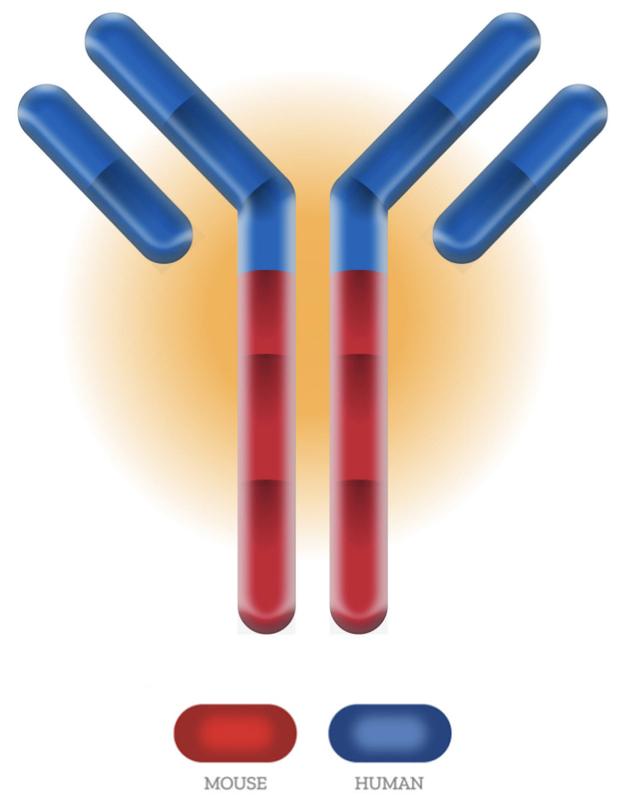 These aspects include function of the immunoglobulin transgenes, a thoughtfully curated endowment of VH, Vκ and Vλ gene segments, and a unique part-human/part-mouse composition of the antibody.